Swingline GBC Inspire Thermal Laminator | A Savings WOW! 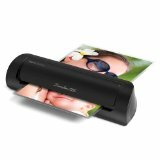 Swingline GBC Inspire Thermal Laminator – Only $13.99 Today! One thing that gets used a lot in our household is our laminator. We use it for many different things – making placemats, preserving documents, making signs for our workshops, making gifts, and for staying organized. If getting organized is one of your resolutions for the new year, then you’ll definitely want to get this Swingline GBC Inspire Thermal Laminator for the awesome price of only $13.99 today. If you have Amazon Prime, then you’ll also get free shipping, or you can get free shipping if your order is over $35. Add the Swingline GBC UltraClear Thermal Laminating Pouches, Letter Size, 3 Mil, 100/Pack, for only $9.89 today, too, so you have enough pouches for all of your laminating needs. Don’t forget that you can sign up for a free trial of Amazon Prime and get free 2-day shipping on your orders. This is a Amazon’s deal of the day, so the price will change after today. Be sure to get one before it does!